Submissions for Novay Digital Identity Award 2011? If you are working on an innovation in the area of Digital Identity: my employer (Novay) in collaboration with the IDentity.Next (un)conference will grant the Novay Digital Identity Award for the second year now. Last year’s winner was Ziggur, a company that innovates our digital death… I’m organizing this award (but not in the jury, influencing me will not help you get the award :)). The deadline is October 11. For more information, see http://www.identitynext.eu/award.php or below. On November 9, the Novay Digital Identity Award will be granted to the best new concept or product concerning digital identity. The award is part of the conference Identity.Next’11 in The Hague. With the award, Identity.Next and ICT research institute Novay want to recognize and support new developments that are shaping the future of digital identity. Submissions are welcome until October 11. The conference in November 9, 2011 is organized by the IDentity.Next association, a non-profit organization on Digital Identity, in cooperation with EEMA, Europe’s leading independent, non-profit e-Identity & Security association. Identity.Next will bring a program with top experts, professionals and industry stakeholders to discuss the world around Digital Identity and best practice. The (un)-conference will consist of debates, workshops, and presentations in four tracks: ‘Social consumer’, ‘Mobile-me’, ‘Private Eye’ and ‘eCitizen’. The award-winning concept the organization is looking for, should relate to one of these themes. 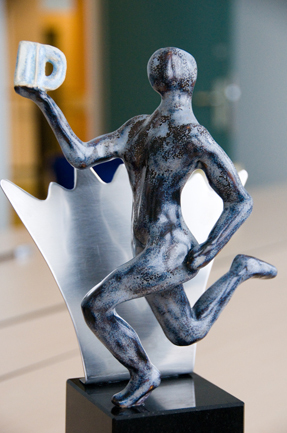 Innovative concepts, projects and products on digital identity can be submitted for the award until October 11, 2011. Submissions will be judged by a jury, chaired by Hermen van der Lugt, CEO of Novay. Criteria include innovativeness (technological as well as business model); success & impact; how the privacy aspect is dealt with and added value for users and for stakeholders. For more information, including jury members, factsheet and submission form, see http://www.identitynext.eu/award.php. This entry was posted on Tuesday, August 9th, 2011 at 13:39 and is filed under Uncategorized. You can follow any responses to this entry through the RSS 2.0 feed. You can leave a response, or trackback from your own site.